As I said during last weeks podcast, I wanted to branch out a little and include a movie review or two in addition to our usual erudite observations on video games. 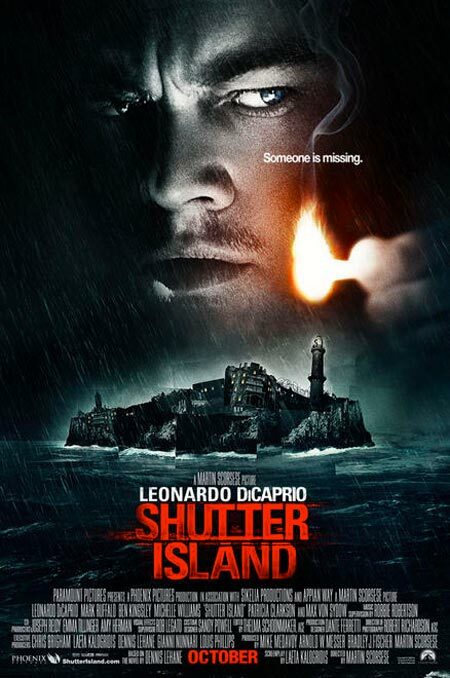 So, last night, as I finished up at work, I decided that I would stop on the way home and take in Martin Scorceses’ new offering, Shutter Island. I’d been intrigued by the previews and also by the top-notch cast involved. Also, $11 for a movie is easier for me to afford than $60 for a new game at this point! There’s a lot going on on Shutter Island. U.S Marshalls Teddy Daniels (Leonardo DeCaprio) and Chuck Aule (Mark Ruffalo) arrive at the insane asylum located on the titular island in response to reports of a missing patient. Daniels shows up without luggage, but carries with him plenty of baggage of the emotional variety having lost his wife to arson in an apartment fire as well as having witnessed the atrocity of the Dachow liberation in WWII. DiCaprio plays this haunted lawman twitchy and in pain, all the while invoking memories of Jack Nicholson in Chinatown, only without the sense of humor. The duo encounter the expected amount of resistance from the guard staff and endure a steady barrage of enigmatic non-answers from the psychiatric staff in the characters of Dr. Cawley (Ben Kingsley) and Dr. Naehring ( Max Von Sydow). They provide that familiar kind of boiler-plate doctoral evasiveness we’ve come to expect from psychiatrists in their position. 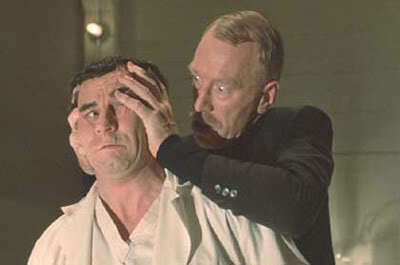 This is what happened the last time Max Von Sydow ran an insane asylum! I was also a bit crestfallen to see such a roster of supporting actors log-in such little screen time. Ted Levine (Silence of the Lambs’ Buffalo Bill), Elias Koteas (Fallen), Patricia Clarkson (The Green Mile) are all limited to one scene of dialogue apiece. Their performances are all well-realized, but I would have liked to have seen their characters more fleshed out, especially Clarkson, whose single scene raises more questions than answers. I suppose it’s not their journey, though. Also, the suddenly omni-present Jackie Earl Haley (Watchmen, Nightmare on Elm Street and FOX’s Human Target) appears in one scene as a patient buried in the depths of the Criminal Ward and gives a wonderfully creepy performance. Jackie Earl Haley cornering the market on creepy characters in the new decade. As the story unfolds, the usual questions are raised. Who can be trusted? What’s real and what’s hallucination? To say much more about the specifics of the narrative runs the risk of ruining the film for anyone who hasn’t seen a movie of this type before. On that assertion, I will make a point of mentioning a film that has told this story before. 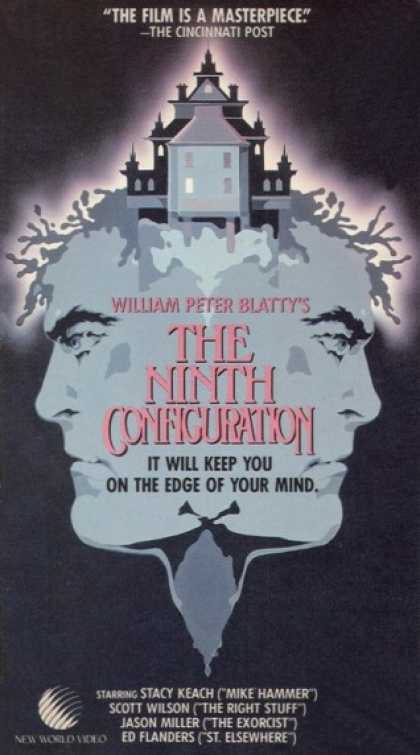 William Peter Blatty’s 1980 film The Ninth Configuration (also known as Twinkle, Twinkle Killer Kane) told a very, very similar story two decades ago. Not to take away from the atmosphere and workmanship of Shutter Island, but anyone who has seen the 1980 film will have no trouble figuring out where the story of Edward Daniels will conclude. If you liked Shutter Island, give this one a look too. Despite the adverting campaign, you likely won’t be scared by what you see here. You may be mildly unsettled or, from time to time, chilled by the visuals but this is in no way a horror film. A better mix of psychosis and true terror can be found in films like Jacobs’ Ladder or the aforementioned Silence of the Lambs. Now, I’ll be the first to proudly say that I’m a Scorcese fan. There are very few filmmakers now, or ever, who possess his level of craftsmanship. That said, Shutter Island does not feel like a Scorcese experience. This film will, undoubtedly, be remembered come next years Oscars, but I have to wonder if it will be for its’ content or for the iconic director who helmed it. I was navigating the web looking for some information and came across your site. I just wanted to say that I think your site has some good stuff and that I have already favorited the page so I can visit again soon! Nice Job!